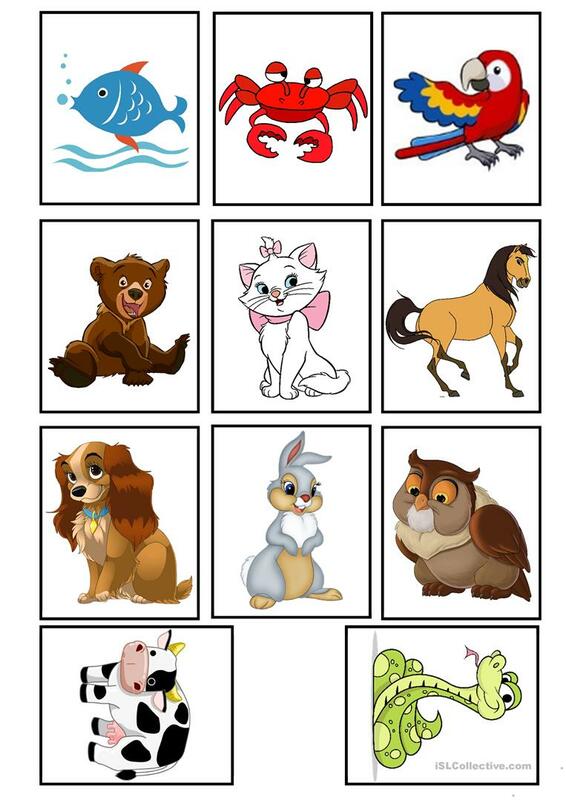 It includes: fish, crab, parrot, bear, cat, horse, dog, rabbit, owl, cow, snake. The present downloadable printable is best suited for high school students, elementary school students and kindergartners and nursery school students at Beginner (pre-A1), Elementary (A1) and Pre-intermediate (A2) level. It was designed for honing your students' Speaking skills. It features the theme of Animals.